About a year ago, I wrote a blog called ‘The Naked Service Desk’. It described the ten key elements of a brilliant service desk. The title was a bit of a joke, designed to grab people’s attention but it also explained the nature of the content pretty well: stripping back the service desk to its bare essentials. It proved to be fairly popular and spawned a series of follow-up blog posts providing practical information about each of the key themes. These follow-ups continued to be published long after I left the Service Desk Institute (SDI) to join Modern Networks. 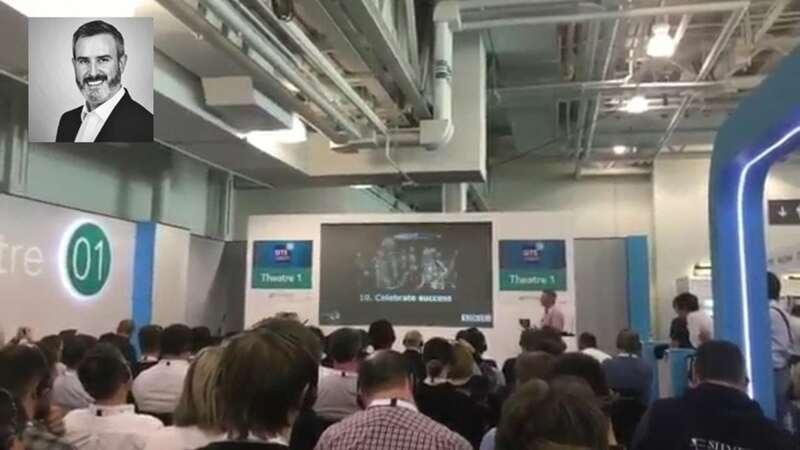 At the IT Service & Support Show (SITS) last week, I ran a presentation based on my blog. It was the last session at the end of a two-day exhibition, which I like to think of as the headline slot! In truth, I wasn’t expecting many people to be there. Seats were limited to about 120, and delegates could pay £6 to guarantee a place. I’m flattered to say that my session sold out the day before. The strangest thing about the session was that I was mic’d up and the attendees wore headphones. Quite an intimate situation. And a bit embarrassing when I was overheard telling a somewhat personal story before the start. Anyway, my Naked Service Desk presentation went down well with the audience, and I received a very good response. Most of the jokes landed. If you’re interested to know more about service desk best practice, you can find my original blog via this short URL – www.bit.ly/2Hvb6rH – created for those people that don’t want the word ‘naked’ to appear in their search histories.